Tomorrow, on May Day proper, I'll most likely head off to the tearoom to help with switching over to summer things (things at the tearoom change with the seasons, and winter season comes to an end as May begins) and cleaning, doing my best to void the worst of the folks carousing about, not being too keen on the more exuberant celebrations myself. Sima and munkki may very well still be had, and I may even dig out a silly hat to wear. 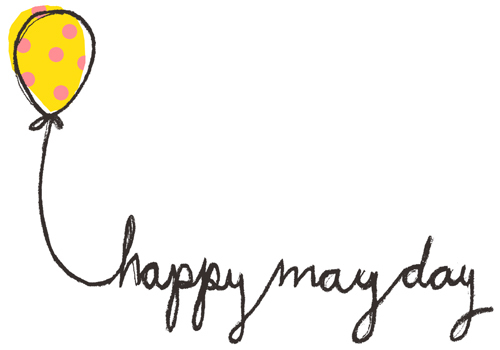 By the by, there are appropriately balloon-themed rag-bags in the shop, for carrying your bottles of sima, tippaleipä (a special May Day funnel cake) and silly hats about as you make merry on May Day. It's been a very, very long time since I last updated! 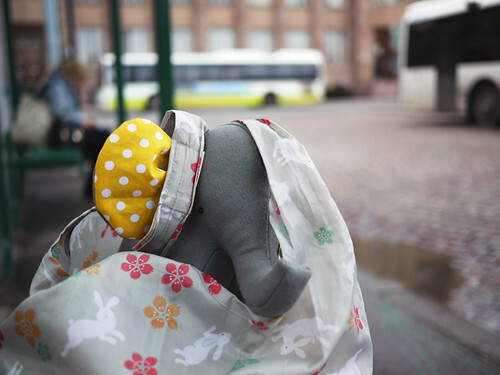 I guess I inadvertently ended up taking a little Rag Pet hiatus, doing other things instead for a bit. I think the hiatus was a good thing though, even if it was unplanned, it gave me a chance to concentrate on being creative outside of the Rag Pets and to recharge my rag-batteries, as it were. 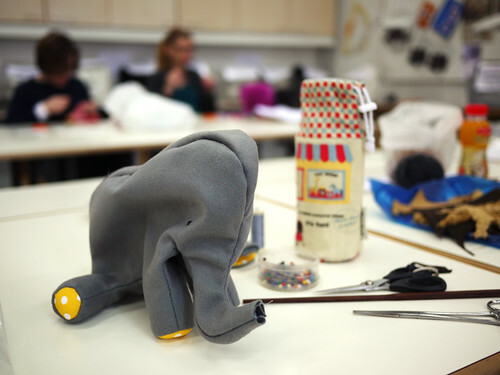 One of the things I did was take a class in soft toy making last weekend. Although for me it was maybe more about just crafting with others, than anything else. Usually I putter about my workroom all by myself, so it's easy to forget how much fun it is to make things with other people present too. 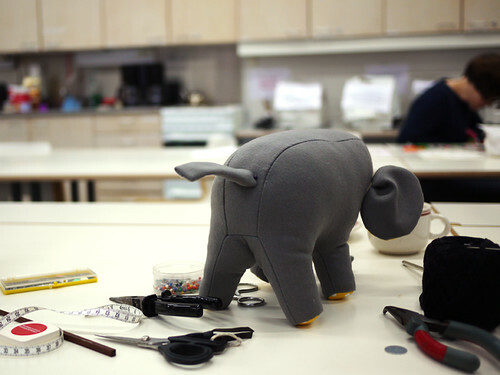 During last weekend's course, I made an elephant and new crafting friends. I'm very much an introvert, so being around people isn't something I need, or at times even want, but despite this I do like crafting with others. It's an opportunity to share ideas and knowledge and to be inspired by others, and of course, it's always nice to simply make things.